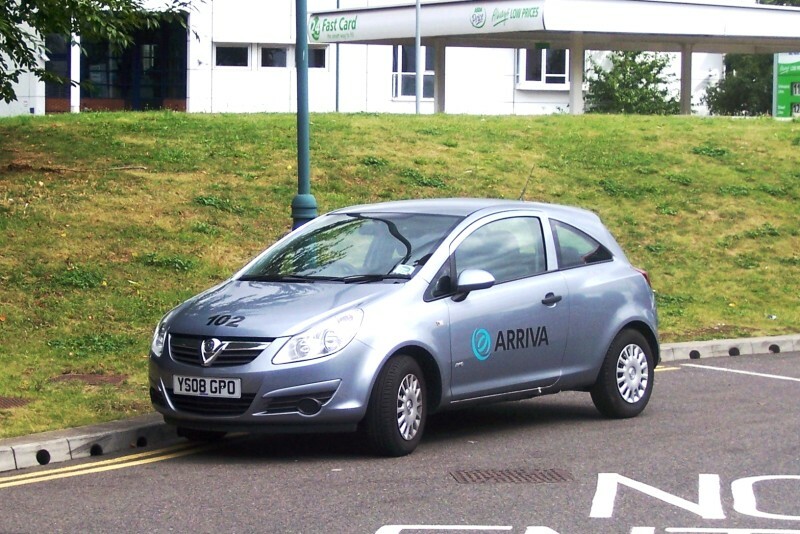 Details: Along with new Enviro 400 buses, Arriva London seems to have acquired some new Vauxhall Corsa crew ferry cars to serve new route 135. Seen at Crossharbour Bus Station on 11th August 2008 is YS08GPO carrying the fleet number 102. It is curious that the numbers have gone into three digits. Numbers in the range 1 to 43 have been used by Arriva London North garages, while 87 to 92 were with Arriva London South. This new batch may include as many as 10 cars as the range appears to start at 93. I wonder why they didn't use numbers between 44 and 86?